To promote human rights advocacy and protect the rights of Indigenous Peoples in all parts of the world who are facing persecution and discrimination. 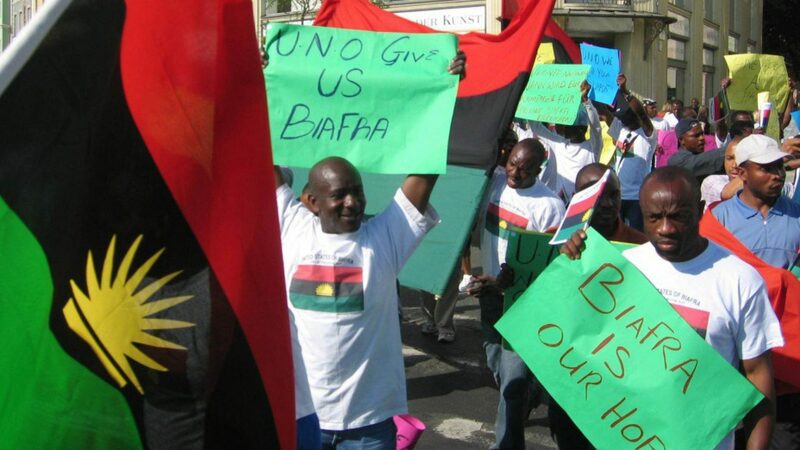 To advocate for the rights and fundamental freedom of the remnants of the Biafrans who are scattered in all parts of the world as refugees and people on self-exile post-war and to advocate for their right to self-determination by judicial process, public lectures and seminars on human rights and advocacy for justice fairness and the rule of law. To uphold, promote, preach, and teach obedience to the rule of law and compliance with provisions of the United Nations Charter on Human Rights and the African Charter on Human and Peoples' Rights. To assist various governments in promoting good leadership, people-oriented governance and public accountability through lectures and seminars. To provide free legal services and defend all oppressed people whose fundamental freedoms and human rights are violated in order to further the interest of justice and the United Nations' aim of promoting access to justice for all. To take over the rights and obligations of the human rights organization registered in Nigeria as the Incorporated Trustees of Bilie Human Rights Initiative. To facilitate economic development, technological development and poverty eradication in the underdeveloped third world countrie through research works and public lectures for the promotion of qualitative education and impartation of vocational skills to the unemployed. To promote the production and marketing of African and Biafran goods and services, retail shops, hotels, restaurants, trades and industries, science and technologies, manpower training and educational services. To promote peace, security, domestic stability, respect for human rights, sustainable development, people-oriented policies and an overall commitment to the improvement of the society and peaceful co-existence of all peoples through Seminars and Workshops. To provide relief materials, homes, hotels and rehabilitation centers for all refugees displaced in Africa and other continents through wars, earthquakes, floods, religious riots, terrorists' attacks and other social factors and natural disasters that create refugee problems in the world. 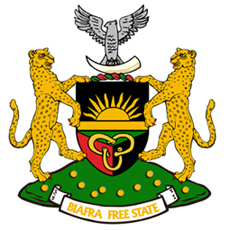 To assist and represent the customary government of indigenous people of Biafra and any other persons, companies, governments (whether local governments, state governments or customary governments), institutions, associations or organisations in legal matters judicial proceedings, international relations, trades, commerce and industries, international treaties and bilateral agreements, performance of treaty obligations, performance of contracts, alternative dispute resolutions, negotiations, arbitration and conflict management, for peaceful and or judicial settlement of disputes.